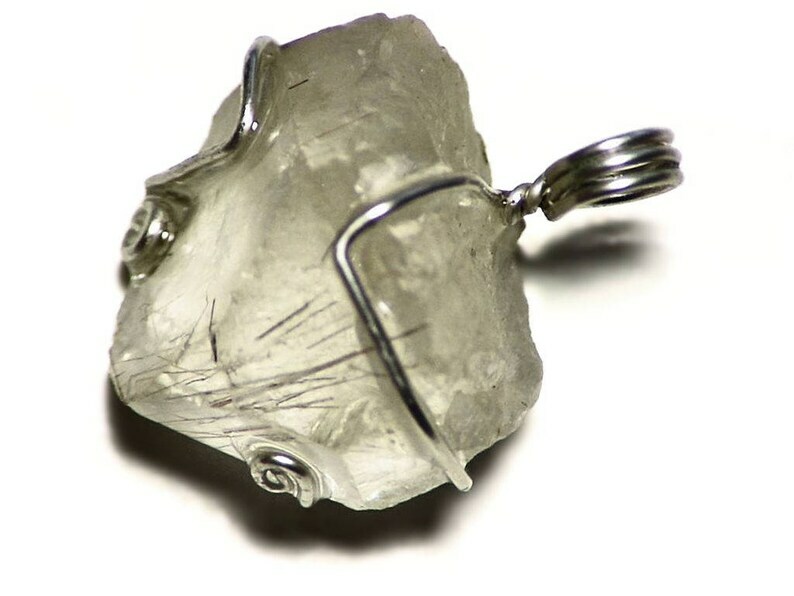 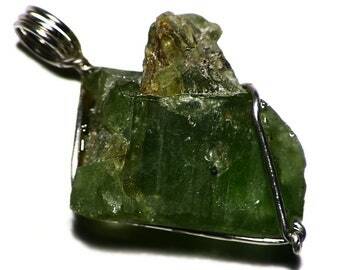 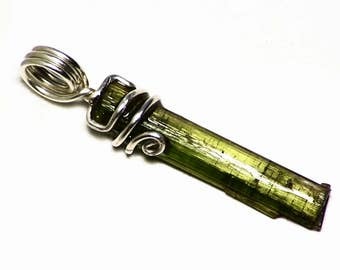 This pendant features a crystal of rutilated quartz. 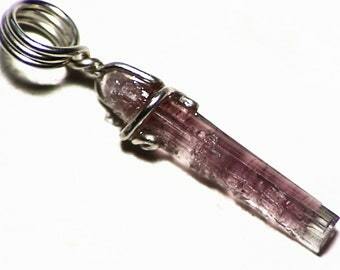 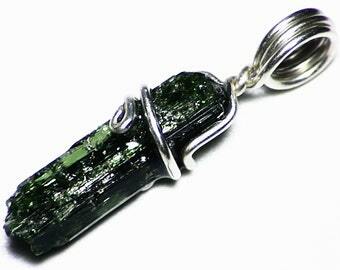 The crystal weighs in at 26 carats, and measures 0.87 x 0.78 inches (22.3 x 19.9 mm). 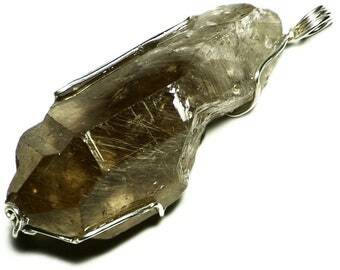 Rutilated quartz is a striking and very unique gemstone. 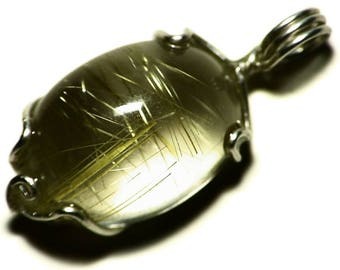 It is an excellent example of an inclusion making a gem: shot throughout the clear, colorless quartz are golden needles of the mineral rutile, filling it with flashing light. 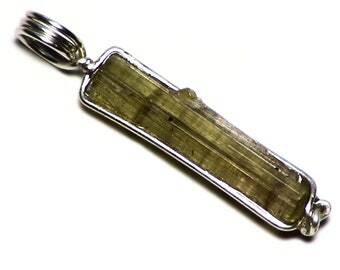 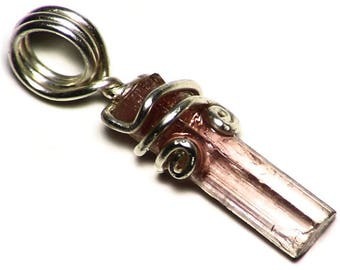 This crystal is a very nice piece, with a bright spray of golden rutile crystals floating within the crystal.